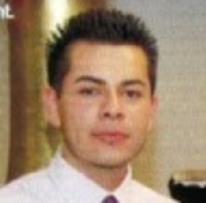 ON THE LAM: This is a 2008 photo of Harold Rangel, now 22, who is wanted in a bribery case and is believed to have been involved in his father's HYIP and mortgage-fraud scam in the Los Angeles area. Harold Rangel may have ties to the region of Pachuca, Mexico, the FBI said. Source: FBI. EDITOR’S NOTE: Although this story largely focuses on the sentencing of Juan Rangel, his son — Harold Rangel — is wanted by the FBI in a bribery case and is believed to have helped his father pull off a massive HYIP and Ponzi scheme. Although federal prosecutors offered a plea bargain to Ponzi and HYIP operator Juan Rangel that would jail him for 15 years, U.S. District Judge S. James Otero said Rangel deserved more time behind bars and sentenced him to 22 years. Otero upped the sentence by seven years after hearing from victims, including the mother of a U.S. Marine who was killed in Iraq. The grieving mother was persuaded to invest money she received after her son’s death with Rangel. Rangel, 47, of Downey, Calif., maintained a $2.5 million mansion and bought a Lamborghini with victims’ money, according to records. Investigators said Rangel, a Mexican national, wired $1 million to Mexico when the Ponzi was collapsing and that the scheme generated up to $250,000 a day. A former Rangel employee told the FBI that Rangel was involved in “multiple fraud schemes” and paid an “associate” to intimidate investors who complained about not getting their promised returns, according to records. Prosecutors called Rangel’s actions “depraved.” Otero also used descriptive language when sentencing Rangel, saying that “taking investment money from the mother of a fallen soldier” was an example of the “callous disregard” he displayed for his fellow human beings. Rangel originally was jailed in August 2008 after investigators discovered his $30 million Ponzi and HYIP scheme and a companion mortgage-fraud and equity-stripping scheme that caused borrowers to lose their homes and lenders to issue more than $10 million in fraudulent loans. Rangel used “recruiters” and Spanish-speaking “street teams” to line up investors, prosecutors said. The mortgage scheme largely was targeted at Latino homeowners facing foreclosure. Rangel “drained the equity out of the properties” instead of assisting the distressed borrowers, and then sold the properties out from under them to “straw buyers,” using bogus documents to trick lenders into approving loans, prosecutors said. Rangel ran a company known as Financial Plus Investments that promised annual returns of up to 60 percent. He used infomercials and newspaper ads to promote his schemes and created more than 500 victims, according to records. Otero is still determining the amount of restitution due victims and will conduct a hearing in May to determine the final sum. Rangel was convicted in a separate case in May 2009 of bribing a bank employee to help him pull off a scam. Rangel’s son, Harold Rangel, 22, also was charged in the bribery case. Because Harold Rangel did not show up for a pretrial hearing, a warrant has been issued for his arrest and he has been placed on the FBI’s “Wanted” list. Here is the “Wanted” poster for Harold Rangel, who purportedly has ties to Pachuca, Mexico. After failing to show for the hearing, Harold Rangel was charged with unlawful flight to avoid prosecution.